These days, cloud migration is considered table stakes for digital transformation initiatives. The driving factors may vary from organization to organization...for some, it's about cost savings and for others, it's about creating smarter apps that support continuous innovation. IaaS – For organizations looking to reduce costs, Infrastructure as a Service (IaaS) is a great option. IaaS is sometimes described as "Lift and Shift" – when applications are moved from an existing infrastructure to a cloud infrastructure. This helps save money by reducing the hardware needed to run those applications and providing flexibility to adjust infrastructure requirements on-demand. PaaS – For organizations looking for smarter deployments that facilitate digital transformation, streamline the delivery of new feature and support emerging technologies like IoT and Machine Learning, Platform as a Service (PaaS) is a more suitable option. While a considerable percentage of new application development is done with a cloud-first mentality, most legacy software is not optimized for a cloud environment. So you’re ready for PaaS, but before you begin to assess the technical and structural requirements of the migration, you must also determine the business drivers for cloud and the desired outcomes. Setting a cloud migration roadmap that is based on comprehensive Software Intelligence that considers both business drivers and technical features of your applications is a critical first step. Once you set this roadmap, establish objective, repeatable and efficient measures on the health of your software so that you can monitor and track over time, as the migration effort is carried out. This will also help you identify potential IT risks and cost savings opportunities for complex, distributed applications as you go. CAST Highlight’s CloudReady Index, developed together with some of the greatest experts in PaaS solutions, helps companies quickly and objectively evaluate their application portfolio in terms of migration. The CloudReady Index automatically generates a cloud migration strategy by identifying where to start, areas for quick wins and flagging which applications will cost more to migrate. This automated, data-driven process reduces cloud migration planning from weeks to days. Another benefit of the CloudReady Index is that it assesses technical impediments to migration, such as the use of COM components, system DLLs or access to the local file system, while detecting scenarios where features of the application are actually positive facilitators for the migration effort. The Index also considers whether the application is a web app or back-end app, and if teams work in Waterfall, Agile or DevOps team structures. This level of technical detail makes it much easier for development teams to estimate the amount of effort needed to re-work applications before they are deployed in PaaS mode. Completing a portfolio migration to the cloud can take years. CAST Highlight performs a continuous calculation of an application’s path to PaaS, both now and in the future. This enables you to see applications that become more suitable for cloud over time and which might be moving in the wrong direction. You even get details on whether the trend is explained by changes in the code or by changes in how the application is being used. While cloud migration can be tedious and take time, it doesn’t have to be painful. As organizations continue to shift towards a digital first mentality, capitalizing on the benefits of PaaS is becoming a must. Don’t get left behind, and start assessing your applications today! 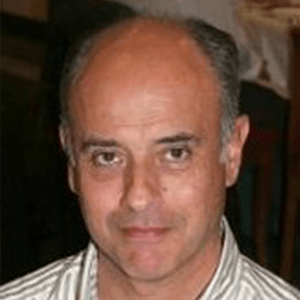 Rafael Cal is a Technical Director at CAST and has worked in the IT industry for over two decades. With his extensive technical background, Rafael helps organizations reduce software risk and improve ADM efficiency and IT Agility.